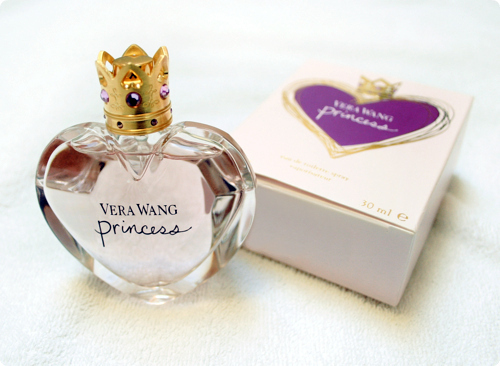 Since i am so into participating in giveaways, i wanted to host a giveaway too.. and i've been collecting money and gaining information about the international shipping rates because i know how bad it feels when these's a pretty giveaway and it's not for international readers..
so i'll be giving a Vera Wang Princess Eau de Perfum (30 ml) to one lucky follower! i wanted to starts it at new year's eve but I have exams a week after that and i may not be available..
and if you share on Facebook daily, share it in another comment! Email, twitter and on my blog too..
if the winner doesn't responds in 24 hours i will forfeit the giveaway prize and choose another! and Wish me Good luck too for my Exams! A very Happy New Year to you in advance..
your first name: Federica C.
YOUR FIRST NAME: LUISA V.
Thanks for the lovely giveaway! Merry Christmas and happy new year!! facebook name: Christian Taddei D.
When you get a chance, come check out my Giveaway for gift cards to Sneakpeeq.